This classic children’s book by Rudyard Kipling tells the story of Mowgli, a young boy raised by wolves: his escapades and adventures with his dear friends Bagheera the panther and Baloo the bear, his capture by the Monkey-People, his attempt at reintegration into human society, and his ultimate triumph over the lame tiger Shere Khan. The account of Mowgli’s adventures is followed by several short stories, including the tales of the brave white seal, Kotick, and the tenacious mongoose, Rikki-Tikki-Tavi. 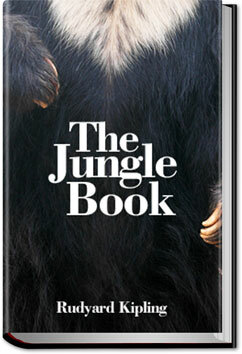 Packed with adventure and Jungle Law wisdom, this book has pervaded popular culture as the basis of many film and stage adaptations, including the popular Disney movie, and through its adoption as a motivational book by the Cub Scouts. This entry was posted in Action/Adventure Books and tagged allyoucanbooks.com, audio books free, ebooks free, free audiobook, free kindle books, unlimited action and adventure books, unlimited audio books on February 10, 2015 by allyoucanbooks.